Billed as the greatest reggae show on earth, this production has a number of top local and international acts scheduled to perform. The show normally starts off with a beach party at the Rose Hall Beach Club followed by five nights of pulsating music and excitement. 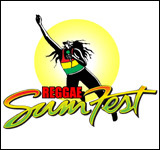 Jamaica's reggae event of the summer, Sumfest is a feast of parties and concerts in the area of Montego Bay. Top performers are featured in a program with recent headliners having included Ciara, Akon, Toots & The Maytals, Morgan Heritage and Elephant Man. The main events are a Beach Party, Rockers Night, Dancehall Night and two International Nights. Red Stripe beer and island rum are widely available, as well as traditional Jamaican food such as jerk pork and chicken, meat patties, BBQ chicken with rice and peas and curried goat.